On Sunday 1st April, Segreto will be holding a tasty family-friendly brunch from 12.30pm-4pm. 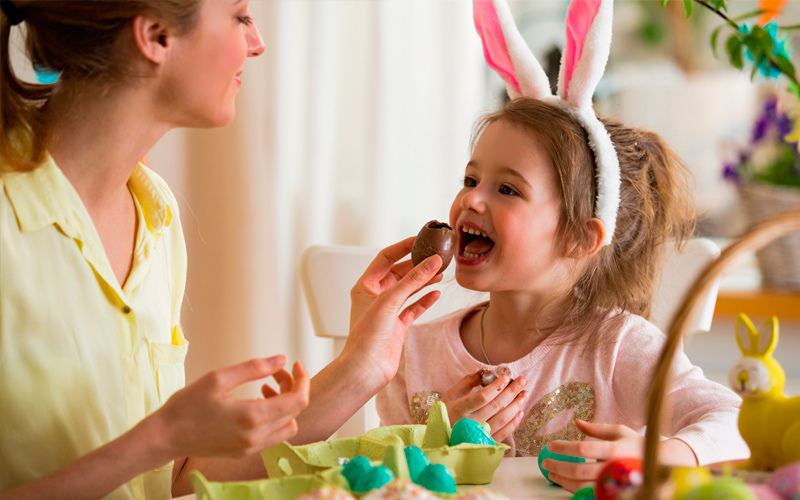 Children can enjoy Easter-themed entertainment and take part in a fun Easter egg hunt, while parents sit back and enjoy delicious Italian food and incredible views over the Madinat canal. Details: 12.30pm-4pm, AED 135 per child, AED225 per person with soft drinks, AED 325 including house beverages, AED 425 including bubbly. For more information visit Segreto. This Easter Sunday, nosh restaurant will be offering a “power bites” buffet for kids, face painting, an egg hunt and a visit from the Easter bunny. Running from For adults there’s a delicious range of buffet options, including seafood and BBQ stations. There’s plenty on offer for those with a sweet tooth too, with chocolate and vanilla fountains, along with cakes and candy available. Details: 12.30pm-4pm, from AED179 per person. For more information visit nosh restaurant. This Easter Sunday both Boulevard Kitchen and The Courtyard at Manzil Downtown will be throwing fun party-themed brunches. There’s all-you-can-eat buffets at both along with plenty of kids’ entertainment to keep the little ones busy. For adults there will be delicious chocolate and Easter themed beverages to enjoy too! Details: 1pm-5pm, kids under six dine free, AED 225 for the house beverage package, AED 295 for the bubbly package. For more information, visit Manzil Downtown. Why not head down to Perry & Blackwelder’s for a wholesome American feast this 1st of April? The smokehouse will have a special menu on offer, along with activities and fun competitions for children, including an Easter egg competition. If you’re looking for a laidback fun family affair, this is the brunch for you. Details: From 12pm onwards. For more information, visit Perry & Blackwelders Original Smokehouse.